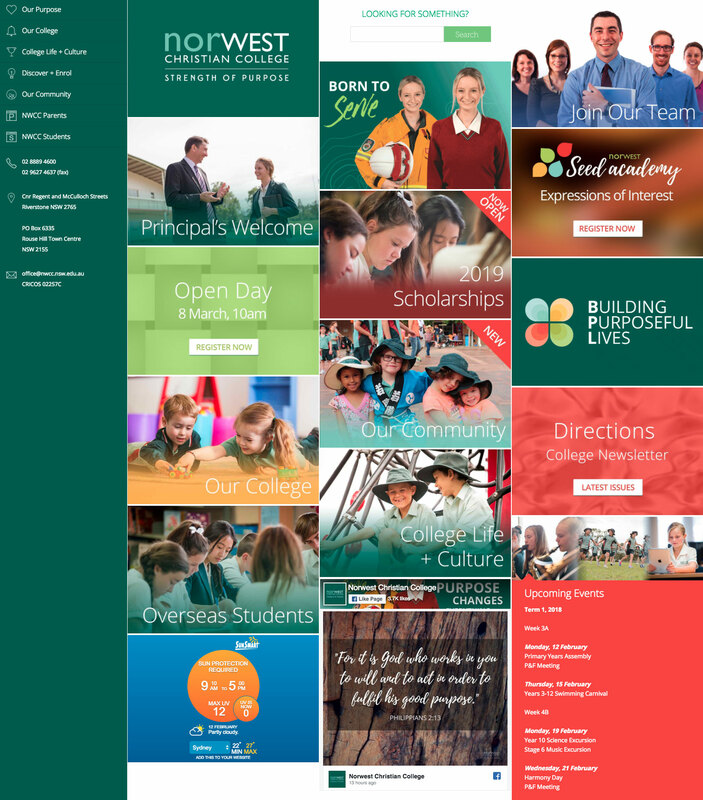 Christian College in Sydney wanted to be different in their digital branding, rather than the content-oriented website. 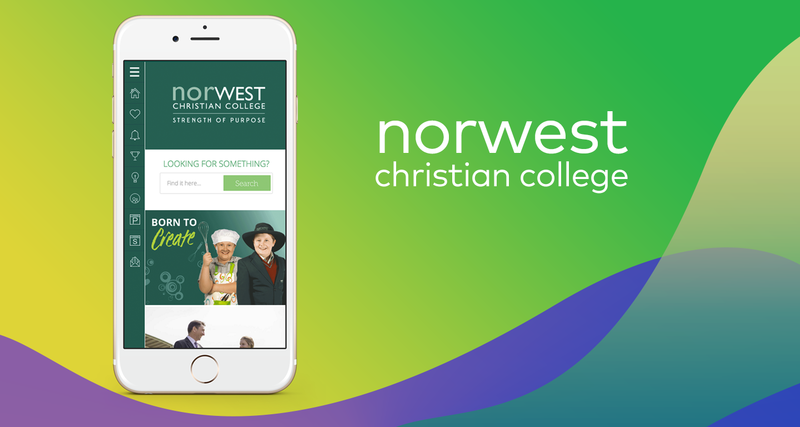 Norwest College was going through changes for their business. 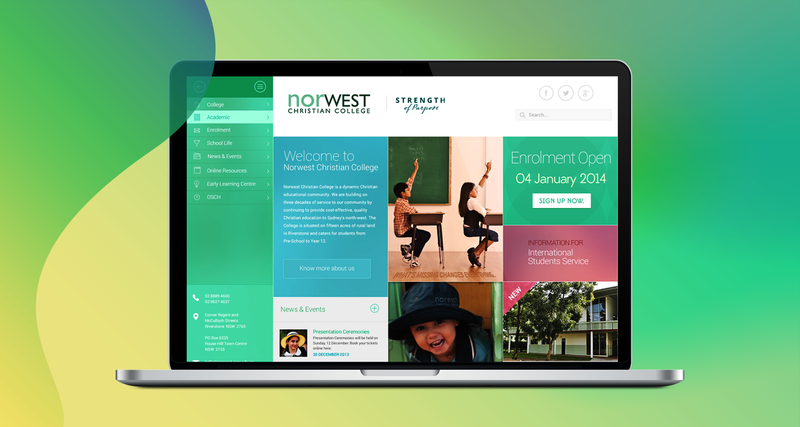 The client was looking more interactive feelings or experience for their users. It was the challenge for us to produce new experiences, interactions with their content and images. They want to show their content in a different way rather than just paragraph and text. The process started with user interviews, stakeholders idea and ideation they want to do with their digital experience. 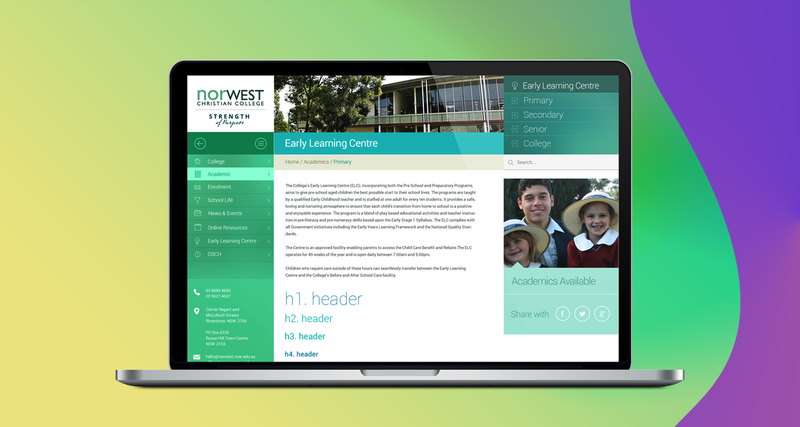 The next was us to present wireframe concept to acquire their business requirements. The final solution was to produce visual components for the final solution. The project was small but very precise in the specification. 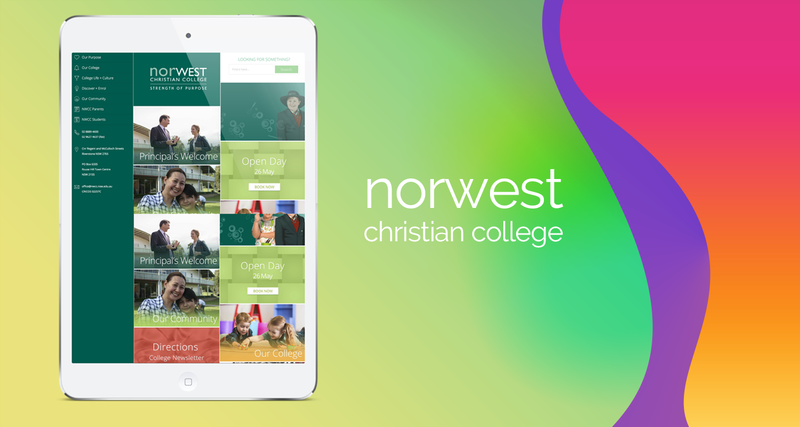 They have targeted audience as parents and student to use the portal. 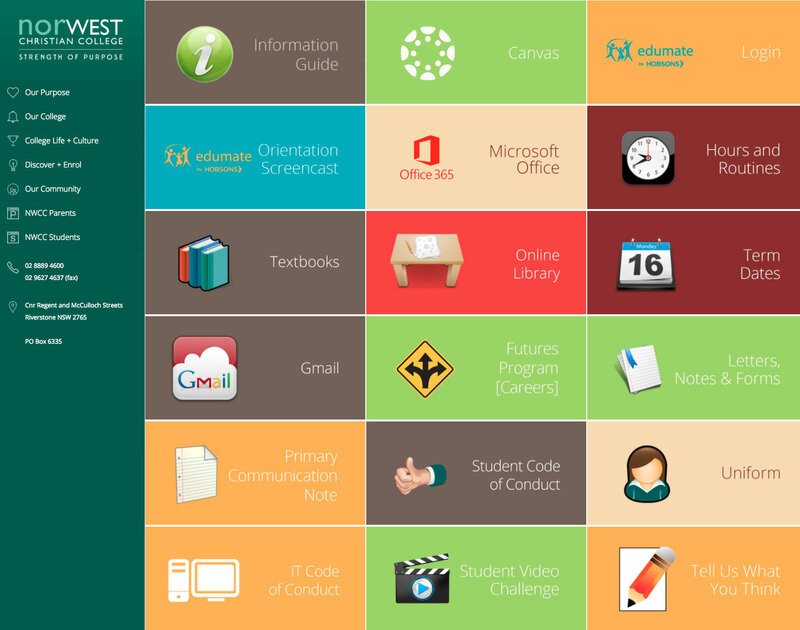 The portal has to facilitate all the features for admissions, general inquiry and information about the college. There were short interviews with stakeholders and teachers, people involved in the project from the client side. The user requirements were standard and have specific requirements for UI as they want to present the content in a different way. User research concluded the users mostly 2 types of parents and students. They both are the most targeted users to use this portal. 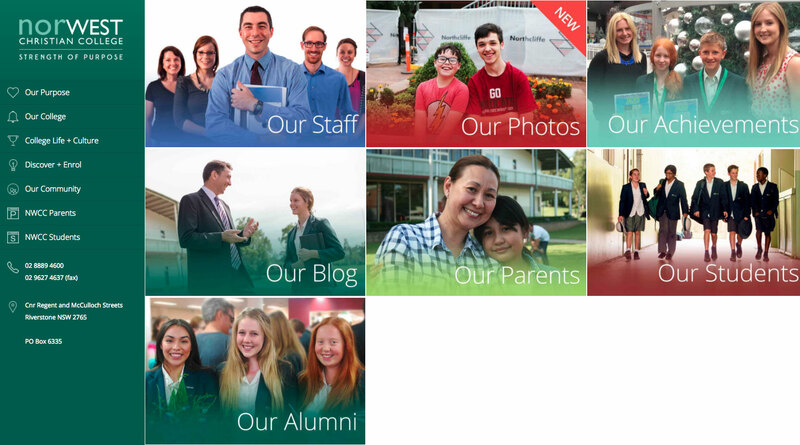 Parent persona was created to define the parent user and student persona to represent student user. Then simple journey and possible scenarios were created to define the user possible journey. The sitemap has to be very defining manner with all the pages mentioned. As project requirements for the layout supposed to be different, it was challenging to create different navigation model. The first iteration for sketches was ready to propose for stakeholders with the left navigation and box pattern design to present the content in different boxes. After that, they were ready to go forward to develop the visual design with few changes in navigation and content presentation. The high-fidelity visual designs were created for each and every page. 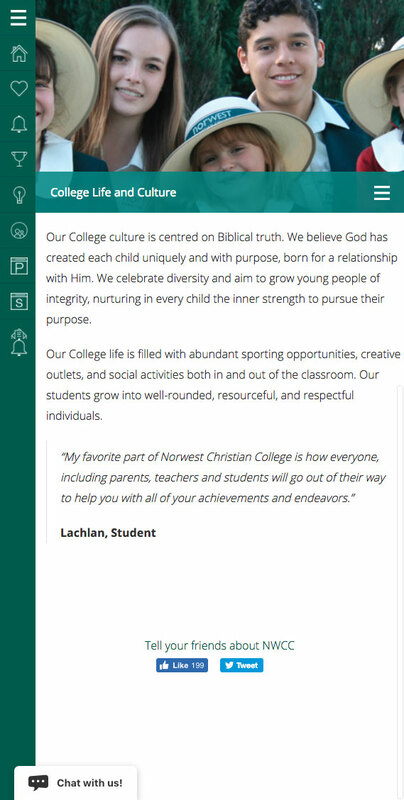 The page the layouts were designed for all kinds of devices, mobile, tablets, and web. The fonts, colors, layouts, icons, labels, and spacing were defined properly to create the final visual. This process took few more iteration to sign off by stakeholders. After proper testing with users in stakeholder’s side, the google analytics and user analysis were done for few days. The content presentation was completely different from their existing website, which made the website fresh and interesting to browse the information.